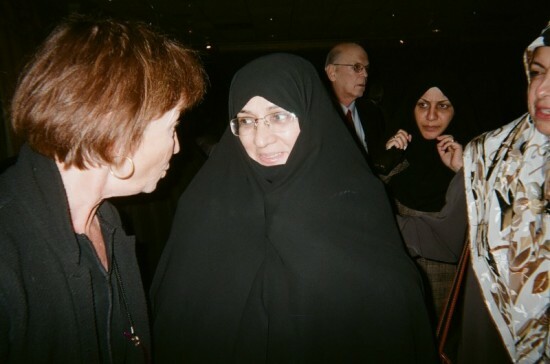 Ahmadinejad's wife and with Sarah Martin of Freedom Road Socialists. Iranian President Mahmoud Ahmadinejad is an anti-Semite and claims the US was behind 9/11. He is dedicated to the pursuit of a nuclear weapon and the complete destruction of the state of Israel. Apparently, some liberal groups have a lot in common with him. After listening intently to the statements of 22 of the participants, President Ahmadinejad said, “We have a treasure chest full of views. I agree with everything you have said... Read more here.